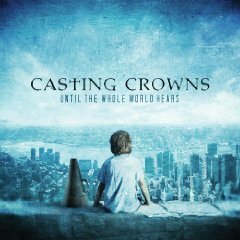 Casting Crowns, which began as a student worship band, never dreamed that God would lead them in the direction that He has - to a recording contract and the opportuity to minister to people not just at their church, but worldwide. At the core of the group is lead vocalist and youth pastor of 12 years, Mark Hall. The group initially formed while Mark was serving at First Baptist Dayton Beach in 1999. He desired for the youth group to worship together during their Wednesday night program. Other members at that time included: Juan DeVevo (guitar and vocals), Melodee DeVevo (vocals and violin), Hector Cervantes (guitar and vocals), and Darren Hughes (production manager). 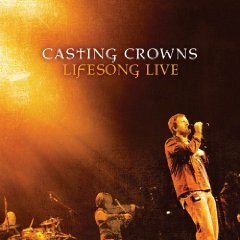 After two years of service in Florida, God called Mark Hall and Casting Crowns to Eagle's Landing First Baptist Church in McDonough, GA. Almost immediately upon arriving, the Lord led two more people to join the band - Chris Huffman (bass guitar), and Megan Garrett (keyboard, vocals, accordion). 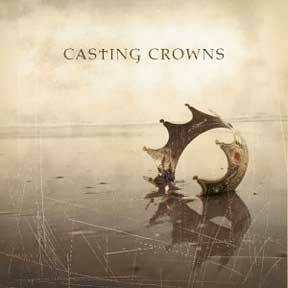 A year later, drummer Andy Williams joined, and thus, Casting Crowns was complete. The band recorded two independent records that were mainly distributed in the Atlanta area and received much praise. "There was the temptation to send our CDs to record companies," Hall says, "but we prayed about it and came to the realization we needed to keep doing our music our way." Mark and the rest of the band had no desire to get into the music business. Mark was completely dedicated to his service as a youth paster and felt that that was where God wanted him to be. God, it seemed, had other plans. 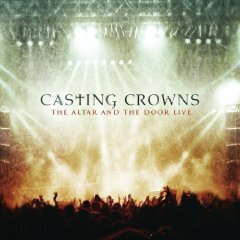 One of Casting Crown's albums found its way into the hands of Mark Miller, lead singer of the country music group, Sawyer Brown. Mark was immediatly blown away by the bold lyrics and Hall's pure, honest voice. "I could tell by Mark's writing that he wasn't doing anything other than speaking from his heart exactly what he was seeing and what was around him," Miller says. "It didn't surprise me at all when I found out later that he was a youth minister, because basically these were messages to his students." Miller, who was in full support of this new group and saw big things in their future, decided to hang on to the two independent records until the right opportunity came along for him to share them with other music industry colleagues. A short time later, he found himself vacationing with two very good friends, new Provident Label Group president Terry Hemmings, and Steven Curtis Chapman. 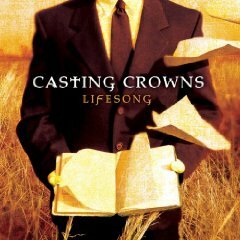 He shared what he know about Casting Crowns with them and all were equally excited about the group and looked very highly upon lead singer Mark Hall. "After my first conversations with Mark," Miller says, "I could tell immediately that this was the kind of person I wanted to be involved with, that Steven would want to be involved with, somebody with true Christian integrity, not just a coating you spray on and then wash off at the end of the day." The three of them decided to embark on a project they had been wanting to do for quite a few years. 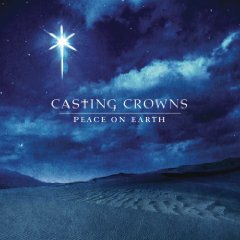 Hence, Beach Street Records, a division of Reunion Records was formed, and Miller set off to recruit who they wanted to be their flagship artist - Casting Crowns. "His response," Miller said, "was exactly what you'd want to hear. Rather than saying 'When do we leave?' or 'How much money am I going to get?' it was 'Am I still going to be able to be a youth minister?' "My response was something like, 'Sure, Mark, but your congregation may be a whole lot larger than you would have ever imagined.'" In 2003, their self-titled album, full of an edgy-pop sound and rich, heart-felt lyrics, debuted with Miller and Chapman serving as co-producers. Their first single, "We Are The Body," which challenges Christians in the church to truly look at the needs of people around them, took off fast and set the group on a whirlwind of activity. "What has really excited me," says Mark Hall in an interview by Christianity Today, "has been the response we've read through e-mails. I've gotten e-mails from pastors and their wives talking about what the song's doing in their youth group with their students. People are writing to us from California to Finland. That's incredible, because I wrote that song for 25 kids in Alabama. It really lit a fire in me that people, do see it the right way. We're not angry artists throwing rocks at the church. We're in the church. We're not saying everything's messed up. We're saying that all of us have something to do." Through all the hype and success, Mark and the group remain committed to what they have been called to do and are at times quite overwhelmed at the blessings God has given to them. "The other night," recalls Hall in the same interview, "we played for 4,000 students in Gatlinburg. To see those students singing the song shook me a little bit. But it doesn't go to my head, because I've got enough limitations in my life where I'm scared to death to take the reins on my own. God is, for some reason, deciding to use us right now. I don't think we're saying anything new that any pastor, Sunday school teacher, or youth pastor isn't already saying. I think it was just God's timing and he decided to use the song. And if he decides not to use the next one, that's fine with us. We're just happy to be a part of it." Michael Herman, Christianity Today. Hall's fundamental message remains: "I want to shake people up and help them see that Jesus is not a religion, and God is not a book," Hall says. "You can't pray to a book and you can't draw strength from an idea or standard. If there's no relationship with Jesus as a person to you, you're in trouble. It's about life, not religion. It's about relationships, not books." A sampler with five songs, Live from Atlanta, was released in 2004, packaged with a bonus DVD containing band interviews and a music video. 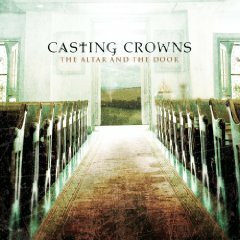 The CD was recorded on October 5, 2003 at the band's home church while commemorating the release of the debut self-titled album. Our Top Song Picks for "Until The Whole World Hears"